Individual behavioural map based on the Management Drives system. ICM provides an on-line link to a questionnaire that takes approximately 20 minutes to complete. On completion, the Behavioural Map plus the feedback manual is posted to your address. An ICM specialist will provide feedback on your behavioural map either in person (depending on your location), over Skype or we will provide a written report prepared by one of our experienced trainers. 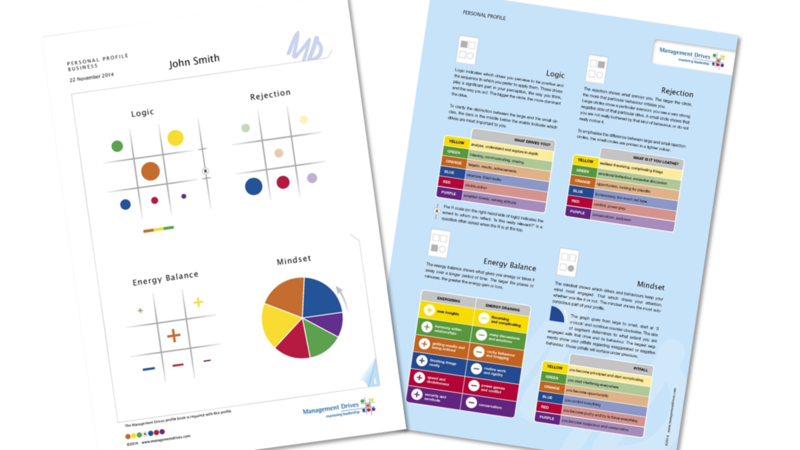 We prefer to provide verbal feedback as we can respect the unique person you are in exploring your behavioural map. We do not provide computer generated reports as they lack the sophistication and subtlety needed to provide accurate feedback on complex human beings. Knowing your behavioural map will make a lot of the on-line training program alive and personal for you. ICM strongly recommends that consultants intending to undertake the accreditation training complete their personal behavioural map prior to the training. As a special deal, if you sign up for our on-line training program in individual behavioural mapping, we offer a discount on the cost of your individual behavioural map. Provision of individual behavioural map based on the Management Drives system. ICM provides an on-line link to a questionnaire that takes approximately 20 minutes to complete. On completion, the Behavioural Map plus the feedback manual is posted to your address. An ICM specialist will provide feedback on your behavioural map either in person (depending on your location), over Skype or over the phone.